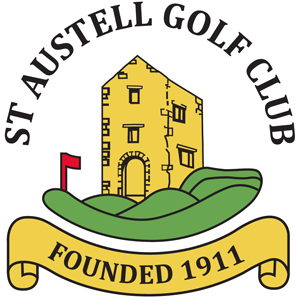 St.Austell Golf Club Open Competitions are open to all golfers who are in possession of a current active golf handicap and fulfill the entry qualifications. Please remember when sending your application to enclose the correct entry fee and a self-addressed envelope for your receipt and confirmed tee time. IMPORTANT only a confirmation in writing will be accepted as proof of a valid tee time in the appropriate competition. Please note that, because of last minute withdrawals, places can become available right up to the day of a competition and it is recommended that those wishing to take a chance on available tee times contact the Secretary. You may also wish to contact the Pro Shop 01726 68621 on competition days, when the office is closed, to double check. It would be appreciated if winners could stay for the presentation. All winners must provide an active up to date handicap certificate from a CONGU affiliated golf club.